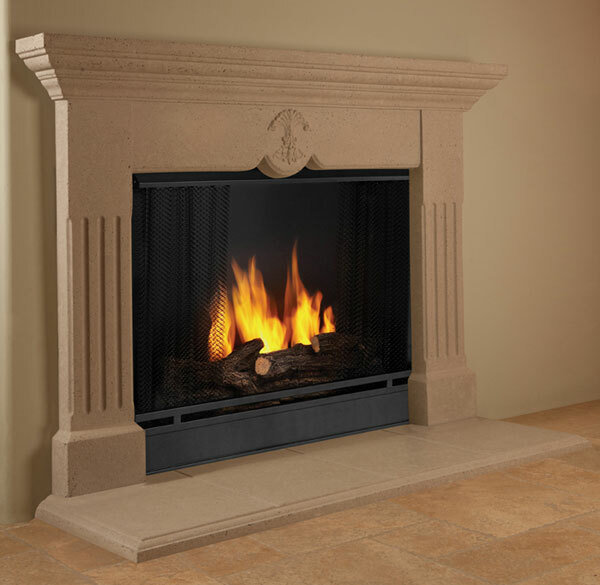 Fireplaces are a popular feature of many California homes and businesses. These design features are not only an ideal way to add cozy heat to your room, but they also are an opportunity to turn an ordinary room into a showplace. The design of the fireplace hinges on the style of fireplace mantel that you select. If you have a modern home with sleek, stylish furnishings, a modern fireplace mantel is ideal for your needs. SoCal Fireplace Mantels is your preferred source for modern fireplace mantels. Modern mantels have many different looks. The common design features include clean lines, geometric shapes, and an absence of details such as carvings or elaborate details. The mantels can have a regular, square, or rectangular shape, or they can include a more distinctive shape such as a triangular or curved mantel. In addition to an eclectic look, modern mantels can be made from a number of different materials. Natural stones with pure colors and few internal variations or patterns, such as pure white marble, are popular options. However, cast stone is also commonly chosen because it allows the designer to control the color as well as the shape and smoothness of the resulting stone. Visit the SoCal Fireplace Mantels showroom to view all of your options for modern fireplace surrounds. If you do not see a modern design that suits your tastes, ask one of our skilled design representatives about your options for creating a custom design that is customized for the fireplace in your home or business.